I was chuffed to have my porridge, fruit and coffee during a dry spell and to have got away just before the rain started again, day dreaming about bacon butties. 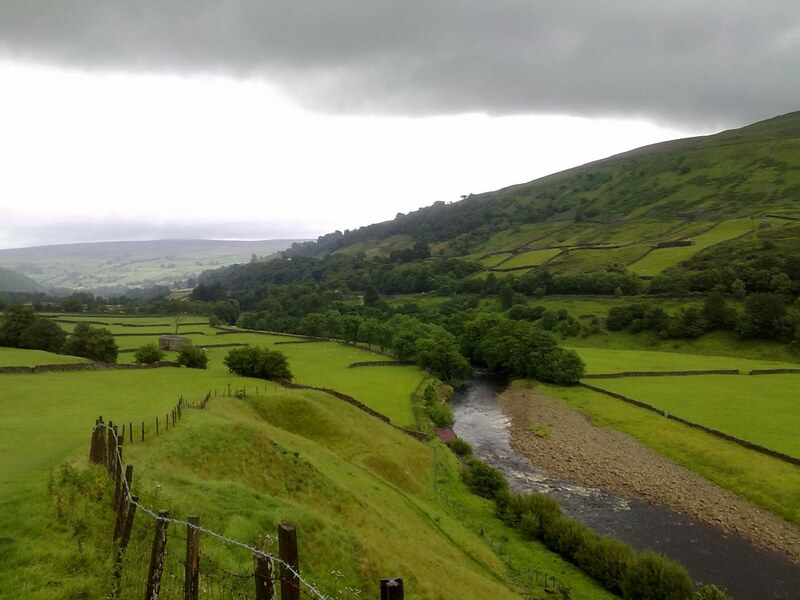 After easy walking alongside or above the River Swale, the dream came true at Gunnerside where there is the most fantastic restaurant that welcomes bedraggled walkers. Full marks and five gold stars to the Ghyllfoot Penny Farthing Restaurant for their Yorkshire Tea, Bacon Sandwich and service. I could live there. Richmond tomorrow. A very special day. Son Bryn joins me for the five day walk to Robin Hood's Bay. Good on yer Bryn. Hi Dad, great to hear all your news and we're loving your photos. If you decide to move to Ghyllfoot Penny Farthing Restaurant we'll definitely come and visit you! Enjoy your week with Bryn. Great report so far Brian. I've saved the Ghyllfoot idea for my not so hardy walking group that I lead as a Swaledale option!! Thanks Lynn. This is my postcard! Fancy The Cleveland Way again? Overcast early morning soon changed to glorious sunny day. Hope you get the same.